Providing you the perfect picture, in any room, every time. Serving Hertforshire and London, we are experts in installing and maintaining a variety of satellite systems including SKY, FREESAT as well as EUROPEAN and INTERNATIONAL systems. So whether you’re upgrading to a new system or replacing an old one, our engineers can completely transform your viewing experience. 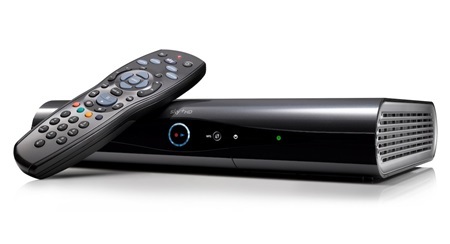 Sky Satellite subscriptions can include a multi-room option, which means customers can connect additional Sky boxes to their existing Sky satellite dish. Whether you require one additional TV set in your household to keep everyone in the family happy, or a more extensive and professional multi-room set-up – Global Detection can deliver an efficient Sky Multi-Room service to suit your requirements. Global Detection satellite engineers are highly experienced and have undergone the latest speciality training working with unlimited height restrictions. We are therefore accustomed to undertaking domestic or professional Sky Multi-room installations in a variety of complicated buildings and situations. We will visit your site and use our expert engineering experience to deliver successful Sky Multi-room installation. We offer a comprehensive aerial installation service. Our highly trained engineers can install all forms of digital aerials including TV, DAB, as well as FM Radio. To complete the service our engineers can then install an array of systems including Freeview, Youview and BT TV amongst many others. Digital aerial systems have replaced the old analogue service significantly improving reception services, bringing high quality visuals and audio to your home. Providing access to a huge range of free to air channels, including HD channels, and a number of different TV service providers from which to choose. Global Detection deliver comprehensive digital aerial services for customers throughout Hertfordshire and London. This includes the expert installation and maintenance of the full range of digital television packages and DAB radio aerials.